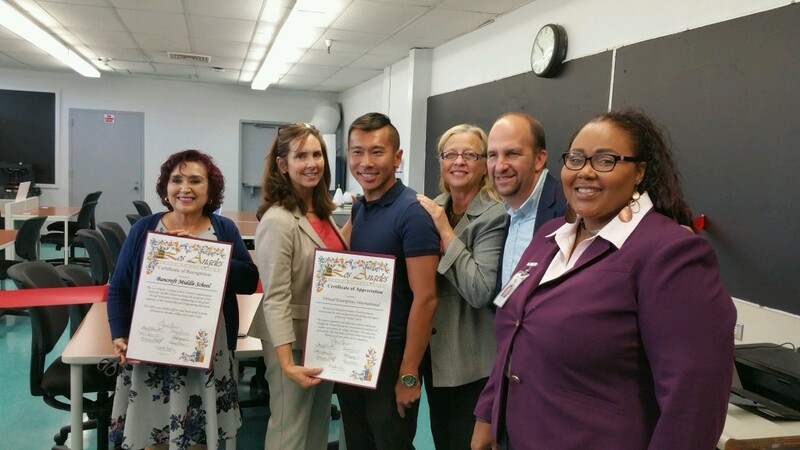 Teri Jones, VEI Southern California Regional Director, and Eric Yu, VE-Junior Ventures Career Academy (VE-JV) Instructor, welcome students and special guests to the opening of a VE-JV Career Academy in Hubert Howe Bancroft Middle School (Los Angeles, CA). 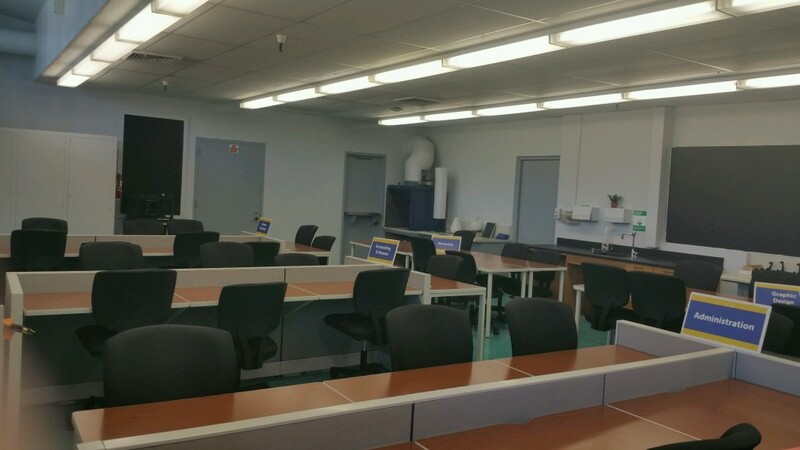 The students start the Career Academy in style with a brand new lab environment and a Certificate of Appreciation signed by each school board member from Los Angeles Unified School District, the second largest school district in the United States. 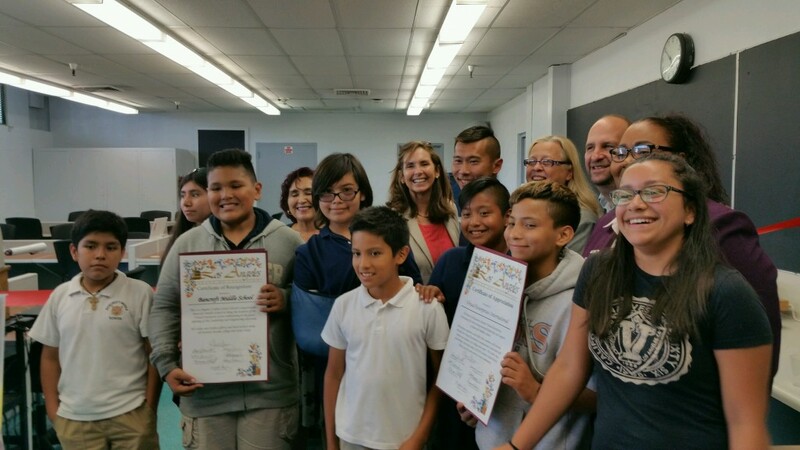 The class was joined by special guests Maria Elena Rico, Principal of Bancroft MS, Esther Soliman, Administrator of Linked Learning of LAUSD, Councilman Steven Zimmerman, Board President of LAUSD District 4, and Dr. Marguerite Williams, Director of Linked Learning. Hubert Howe Bancroft Middle School is one of twelve middle schools across California, New York, and Florida launching VE-JV Career Academies in the 2016-17 school year, a program initiative funded by New York Life Foundation.